By learning to construct a system that can learn from data, readers can increase their utility across industries. Machine learning sits at the core of deep dive data analysis and visualization, which is increasingly in demand as companies discover the goldmine hiding in their existing data. 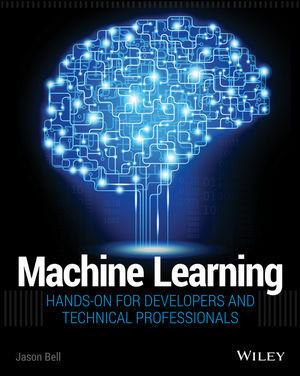 For the tech professional involved in data science, Machine Learning: Hands-On for Developers and Technical Professionals provides the skills and techniques required to dig deeper. Jason Bell has been working with point of sale and customer loyalty data since 2002 and has been involved in software development for more than 25 years. He works as a senior technical architect, lecturer and also advises startups that are just beginning their technical adventures.